Nobody was willing to let history fade away after a blaze last month left the Aberdeen Museum of History’s prints, negatives, film and VHS tapes soaked and covered in soot. 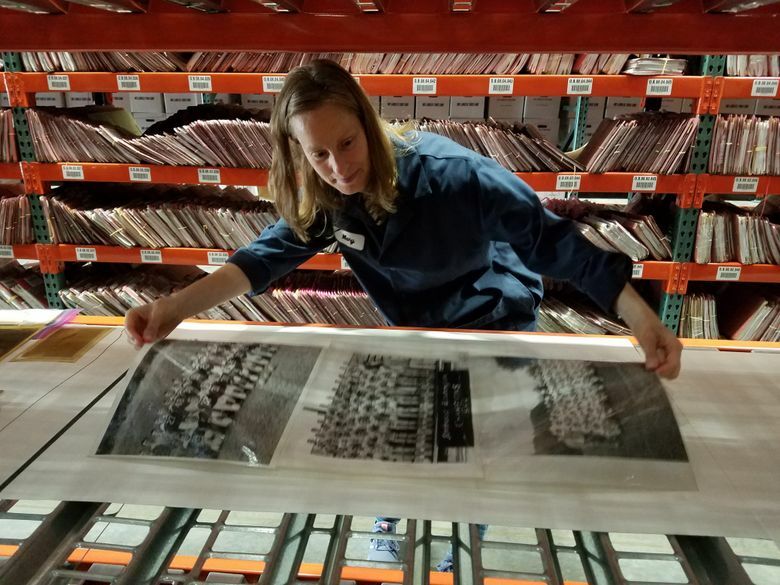 Archivist Mary Hammer lays out old, large-format panorama photos to dry. She was among two dozen state archivists and volunteers who jumped in to help, in what looked like a scene from “Raiders of the Lost Ark.” And that was just Phase 1. Seattle is opening more tiny-house villages where homeless people can live while waiting to get into housing — but that last step isn’t happening often. At one village, residents didn’t have access to the required (and considered essential) case management for more than three months. We look at where people are going when they leave the villages, and ICYMI, here’s a peek inside one new tiny-house village for women. The outcry is loud this morning: Republican and Democratic lawmakers alike are voicing shock and outrage after President Donald Trump openly sided with Russian leader Vladimir Putin, instead of U.S. intelligence agencies, on the question of whether Russia meddled in U.S. elections. (Watch it here.) Rep. Adam Smith of Bellevue said it was hard to see this as “anything other than treason.” The late-night TV hosts had thoughts, too, of course. The next diplomacy shocker: possible U.S. talks with the Taliban. “Deadliest Catch” co-star Edgar Hansen won’t face jail time after sexually assaulting a teen girl. The Mountlake Terrace resident recently struck a plea deal. His brother and fellow reality-TV fisherman, Sig Hansen, is embroiled in a separate case involving sexual-abuse allegations. Was Boeing’s bold move a bust? Boeing boldly tried to steal a solid Airbus customer and deliver a stunning blow to the chances of Airbus’ latest new jet, the A330neo. This week’s Farnborough air show may tell whether the gambit succeeded. It’s part of Boeing’s push to justify developing the 797, at an estimated cost of $10 billion. And the company just predicted that the world’s airliner fleet will double over the next 20 years, but how accurate is its crystal ball? 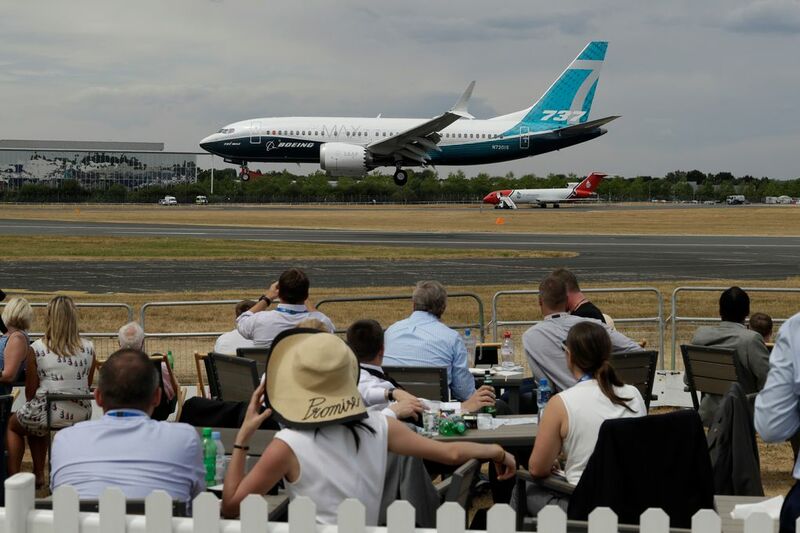 Reporter Dominic Gates tackles that question and provides updates from the air show, where yesterday, spectators watched a Boeing 737 land after a flying display. How are you holding up in this heat? How do you stay comfortable — or achieve some semblance of comfort — without air conditioning? Share your secrets, please! After nearly a month of hard-fought burger matchups in our Seattle Burger Battle Royale, readers have picked a winner. In other really-good food news: One of Seattle’s best dumpling restaurants is coming to Bellevue. Also, Bethany Jean Clement shares her experience at Monica Dimas’s new Little Neon Taco: “What’s better than classic tacos from a great taco truck? These tacos, arguably,” she writes. For more food stories, sign up for our Eats & Drinks newsletter. Seattle is getting a new ride-hailing service today. ReachNow, which offers BMWs and Mini Coopers that come stocked with candy, water and phone chargers, has some key differences from Uber and Lyft. Here’s how it works. Baseball’s All-Star Game will be played tonight, and columnist Larry Stone looks at the trade for All-Stars Mitch Haniger and Jean Segura that changed the Mariners’ franchise. Nelson Cruz and Edwin Diaz (also All-Stars) remain confident the M’s will end their playoff drought despite a recent stumble. And hear how former Shorewood High star Blake Snell, with encouragement from his father, went from a 5-foot-6, self-consciously awkward teen to a 6-4 All-Star for the Tampa Bay Rays. “I am giving back.” As UW’s financial picture worsens, President Ana Mari Cauce is returning $95,000 of her pay to the university. She still makes more than $700,000 annually, which gets some critics hot under the collar. A doubting Thomas? All-Pro free safety Earl Thomas hyped up the trade buzz by posting on Instagram: “If you don’t want me let’s make a trade happen.”Thomas missed all of minicamp and wants a new contract before the season, but it appears the Seahawks don’t plan to budge. When Angela Hernandez first saw her rescuers, she thought it was another dream. She’d had a lot of them in the week since her SUV plummeted off a cliff and landed on a secluded beach near Big Sur, Calif. Read the 23-year-old Portland woman’s riveting tale of survival. And some tourists in Hawaii got more than they bargained for yesterday on their up-close boat tour near the Kilauea volcano, when “All of a sudden, everything around us exploded.” One woman is still in the hospital. ICYMI: Did you read The New York Times’ “36 hours in Seattle” travel story? Our writer fact-checks its proposed itinerary and finds one thing NYT forgot: Seattle traffic patterns. “The article might as well have been called ’36 Hours in a Rental Subaru,’” she writes. Thousands of children benefit from The Seattle Times editorial board’s summer school-supply drive. Learn about one way the YWCA helps families and a little girl who received a furry pink backpack thanks to the generous readers of The Seattle Times. Sunny. High 87. Low 59. Sunrise 5:29. Sunset 9:01. The Major League Baseball All-Star Game is played in 1979 in the Kingdome,featuring the best players in both leagues, a tradition that began in 1933. First baseman Bruce Bochte is the sole Mariner selected for the game, played before nearly 59,000 fans. The National League wins, 7-6. It is the only year the game is played in the Kingdome, though in 2001, the All-Star Game is played at Safeco Field, with eight Mariners selected to play.